After weeks of handwringing over what Apple would announce in relation to iPhone X demand, CEO Tim Cook put the rumors of a "dead" release to rest in one fell swoop. "Customers chose iPhone X more than any other iPhone each week in the March quarter, just as they did following its launch in the December quarter," Tim Cook said as Apple announced earnings on Tuesday. "We also grew revenue in all of our geographic segments, with over 20 percent growth in Greater China and Japan." For weeks, there has been a theme in a lot of coverage of what's going on with Apple, much of it related to the iPhone X, and the supposed "failure" of the model. One bogus report claimed the product was "dead," while various others pointed out that there was little demand or interest in the flagship device. "This is the first cycle in which the top of the line iPhone model has also been the most popular," Cook added, noting customer satisfaction of 99 percent made it a "beloved" product. 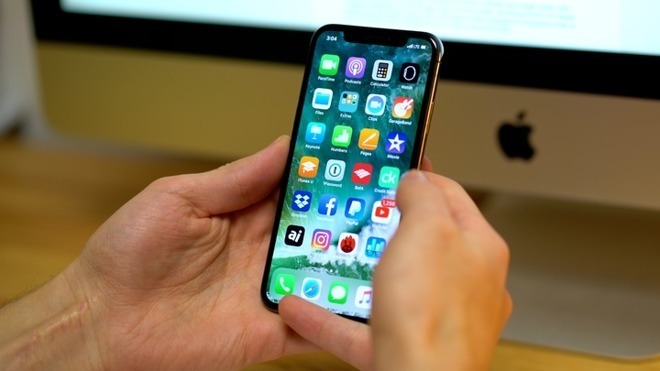 Overall, iPhone sales grew 14 percent over the same time last year, when the iPhone X was not yet on the market. iPhone average selling price grew to $728, from $655 last year in quarter two — clearly the effect of iPhone X sales. Commenting further on iPhone X, Cook likened the device's sales performance to the success of a football team. "It's one of those things where a team wins the Super Bowl. Maybe you want them to win by a few more points, but it's a Super Bowl winner and that's how we feel about it," Cook said. "I could not be prouder of the product." On Tuesday, Apple announced quarterly revenue of $61.1 billion, a 16 percent increase over the same time last year, and also 52.2 million iPhones sold in the quarter. It was Apple's strongest March quarter ever for revenue. Analysts surveyed by Bloomberg had predicted earlier this week that the company would announce revenue of $61 billion, while Katy Huberty of Morgan Stanley had specifically predicted 52.3 million iPhones sold, so both were close to accurate. Another prediction came true as well. The Wall Street Journal had predicted a "capital return bonanza," following the passage of tax reform, and Apple indeed announced a $100 Billion Share buyback program as well as 16 percent increase in its dividend. Many of the other predictions related to Apple's performance in the June quarter, as the next iPhone cycle gets going. Apple on Tuesday released revenue guidance of between $51.5 billion and $53.5 billion for that quarter.